In 1978 we purchased a rural plot in the village of Rudy near Konskowola. That was our beginning: we set up a nursing farm of fructous trees, which enjoyed great appreciation among fruiters. After the political change of the year 1989 we gradually changed our nursing farm’s orientation into decorative plants, which is now my daughter Dorota’s and her husband Aleksander Cegielka’s business. Since 1982 I was acquainted with microbiologists from IUNG (Institute of Soil Science and Plant Cultivation in Pulawy), that is with Wojciech Paszkowski, Ph.D. and Andrzej Księżniak, Ph.D. At that time Mr. Paszkowski prepared inoculums against Crown Gall disease using bacteria Agrobacterium radiobacterK-84. Our company was then merely a nursing farm. Thanks to my contacts to microbiologists I came up with an idea of producing mycorrhizal fungous spawn, which was at that time a pioneer enterprise. In 1999 Mr. Andrzej Księżniak prepared first isolates, eg “JUNI X”, which has been used ever since for almost all coniferous plants. Over the next few years the technology of breeding and isolating was developed. At the moment, we offer inoculums containing fungous spawn isolated from the roots of plants growing in various habitats, mostly the forests. At the Forest Fair in Rogow, 2002, we came up with an idea to use the “Kwazar” spray to inoculate inoculums underground, which is the first such a solution in the world. There are still people who believe that it is impossible to do it our way when they first hear about it! The range of our interests has widened as well: at first we only prepared inoculums for ericaceous and coniferous, now our offer also includes solutions for willows, vine grapes and endomycorrhizae. We value our cooperation with scientists, who test our inoculums and judge their practical applicability through numerous experiments. They are research workers of the Research Institute of Pomology and Floriculture in Skierniewice,Poznan University of Life Sciences, University of Warmia and Mazury in Olsztyn etc. 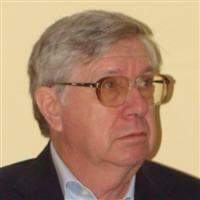 They are, among others: Professor Bożenna Borkowska, Professor Leszek Orlikowski, Professor Stanisława Korszun, Andrzej Klasa, Ph.D., and, last but not least, the co-founder of our company – Andrzej Ksiezniak Ph.D. It would be impossible to list them all. What is important is their input in the development of mycorrhization in Poland. We see our future in bright colours, as people from Gibraltar to Charkov and Yalta are interested in mycorrhiza. We conduct experiments outside Polish borders, because mycorrhizal fungi are needed almost everywhere, and in many places they are increasingly high valued. Research worker at the Research Institute of Pomology and Floriculture in Skierniewice, head of the Decorative Plants Protection Institute. A renowned phytopathologist, a world authority as far as the protection against Phytophthora ssp. He conducts experiments and tests protective faculties of our inoculums. 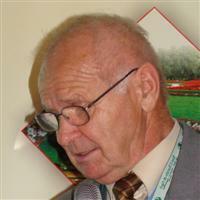 Leszek Orlikowski’s information page at “Nauka Polska” (Polish Science) web portal – click here. Head of the Institute for Plant Protection at the Poznan University of Life Sciences, scientific consultant of the green urban areas of the city of Poznan. He teaches his students practical knowledge of mycorrhiza. 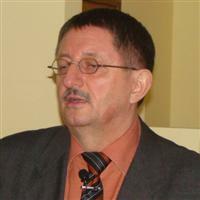 Tadeusz Baranowski’s information page at “Nauka Polska” (Polish Science) web portal – click here. A mycologist dealing with mycorrhizal fungi, working at the Pulawy Institute of Soil Science and Plant Cultivation. The co-founder of the company and its main scientific consultant since the very beginning, author of many isolates – for example Juni X. He has been particularly important for our company. 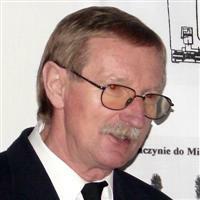 Andrzej Księżniak’s information page at “Nauka Polska” (Polish Science) web portal – click here. Lecturer at the University of Warmia and Mazury in Olsztyn, renowned specialist in the field of renewable power generation, especially relating to energy willow. A great and devoted ecologist. 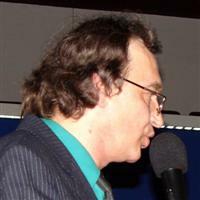 Andrzej Klasa’sinformation page at “Nauka Polska” (Polish Science) web portal – click here.